Could these designs from Madame Mo get any cuter? 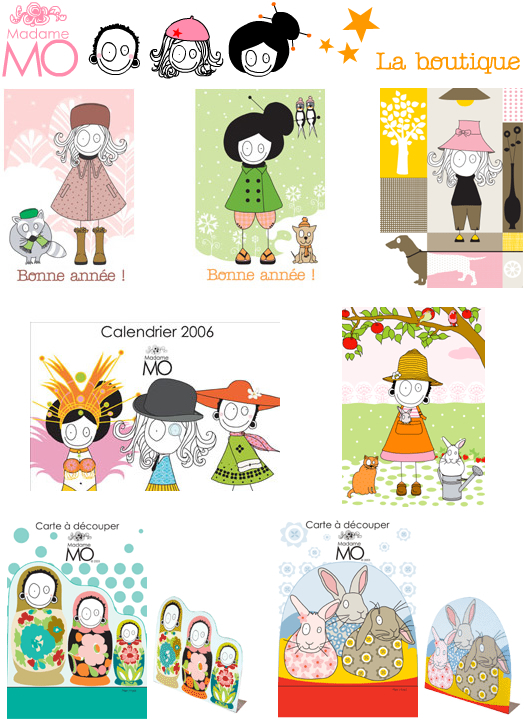 Pascale Moteki (illustrator) and Agnes Lafaye (business mind), the creative partners behind Madame Mo in Paris, create greeting cards, calendars, and all kinds of pretty paper things (love the stand up cards), available all over France and in a few other European countries as well. They haven't yet moved to the shores of America, but hopefully some little shop owner reading decor8 today will look into picking up their line (hint hint). Madame Mo is charming - the illustrations are very unique to the cartoons and illustration styles in France, don't you think? To purchase Madame Mo online, visit their online store in English.